Yesterday the mobile network Ovivo closed without prior notice, leaving customers unable to make calls or texts or use their data connection. In addition, the company has dectivated its social media accounts and left customers with no way to contact them. 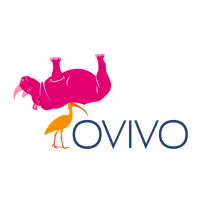 Ovivo was operating using an unorthodox business model - they would charge up to £20 for their SIM cards (and were apparently doing so right until they shut down), but they also had tariffs starting from £0/month in exchange for advertising. If you were a customer on Ovivo and want to port your number across to a new network, you can fill in a PAC request on the Ovivo main page. If you had unused credit and you want to try and reclaim your money back, you may be able to do so via chargeback. MoneySavingExpert has a very helpful guide and a template letter you can use to claim money back. Virgin: for £7, you get 150 minutes and 500MB data on a 1 month contract. GiffGaff: for £7.50, you get 200 minutes and 250MB data on a 1 month contract. GiffGaff are also offering Ovivo converts a bonus £5 credit. TalkTalk: for £5.00, you get 100 minutes and 200MB data on a 1 month contract. TalkTalk: for £5.63 (average cost over contract), you get 500 minutes and 1GB data on a 12 month contract. Three: for £6.90, you get 200 minutes and 500MB data on a 12 month contract. Three (via Amazon): for £6.90, you get a pay-as-you-go SIM card with £10 preloaded on a 3p/min voice, 2p/text and 1p/MB tariff. Tesco Mobile: for £7.50, you get 200 minutes and 250MB data on a 12 month contract. T-Mobile (via Mobiles.co.uk): for £8 (plus £36 cashback by redemption), you get 250 minutes and 500MB data on a 12 month contract. Orange (via Mobiles.co.uk): for £8 (plus £16 cashback by redemption), you get 500 minutes and 100MB data on a 12 month contract.